Yellow Pages scraper is software which can collect some data from Yellow Pages using multithreading access with connections thru proxy servers. Software can search and check proxies by own functionality. Multithreading makes software possible do its job very fast. Analytic reports system was developed as additional tool to analyze and manage data which was collected by our scraper tool. Software has wide features for working with collected data and database and the main goal of this app is building reports for analyzing data and saving results in Excel. App collects data from several websites and build scheduler of golf tournaments during year. 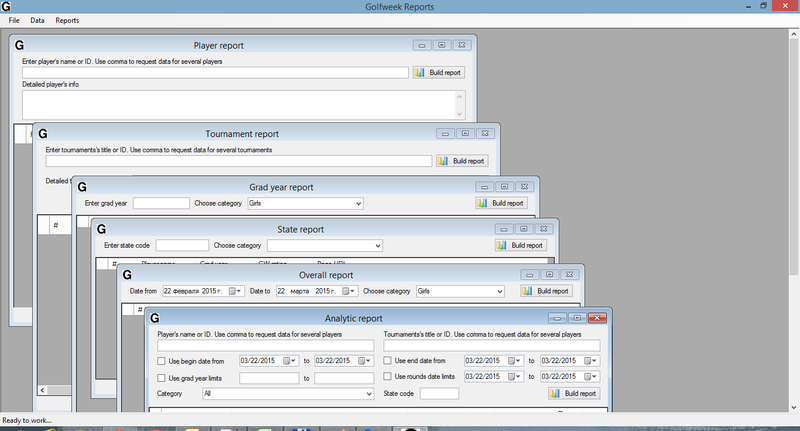 Scraper collects information about golf tournaments and saves it to MS Excel files. App developed on C# .Net using standard web browser control based on MS Internet Explorer.